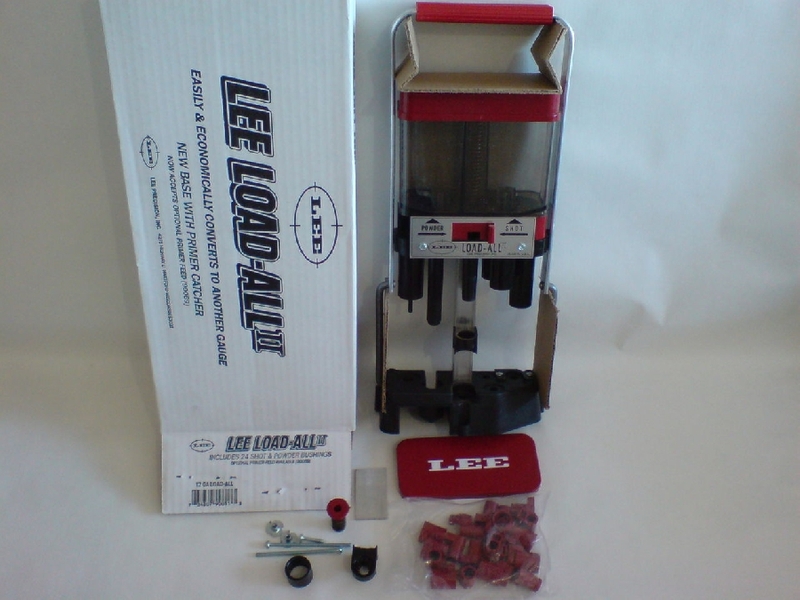 The Lee Load-All 2 offers the reloader a an inexpensive option when it comes to making cost effective shotgun shells. This press includes eight shot bushings that measure 7/8, 1, 1-1/8, 1-1/4, 1-1/2, 1-3/4 and 1-7/8 ounces. The 1-7/8 ounce bushing is a small tab that fits inside the charge bar. Also included with this press are sixteen powder bushings that measure: 095, 100, 105, 110, 116, 122, 128, 134, 141, 148, 155, 163, 171, 180, 189 and 198 cubic centimeters. Unlike other more expensive presses the Lee Load-All 2 also comes with 6 and 8 point crimp starters, safety charge bar, steel sizing ring, aluminum plate for primer catcher, spare wad guide, primer guide, spring and pin, one screw and two bolts with locking nuts. Additionally the 12 and 20 gauge models can load 3" shells without needing an expensive conversion kit. One screw and two bolts with locking nuts.